Yesterday, I saw a Comic-Con attendee attempting—struggling—to put on his Grimlock costume, a foil and cardboard contraption that stood a good 10 feet tall. Impressive, but maybe not as impressive as this very dedicated special infected. 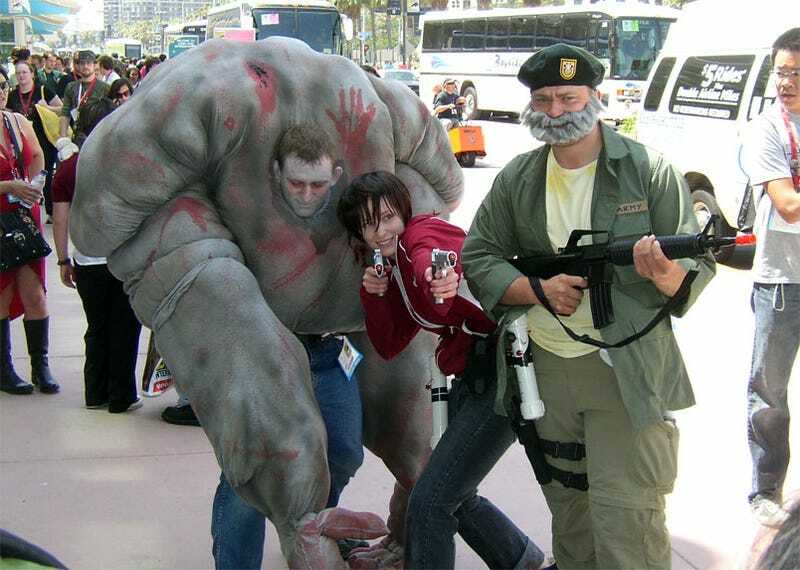 Reader Edward spotted this trio, with bonus Zoey and Bill, skulking around the entrance to the San Diego Convention Center. Check out the details—click that pic to make it bigger—including pipe bombs and pills. Thanks for the pic, Edward!